If you don't have an apple tree in your back yard, then you should have one of these beauties on in your home! Called 'Apple Blossom', the flowers of this miniature phalaenopsis are an intriguing blend of light green and soft pink. 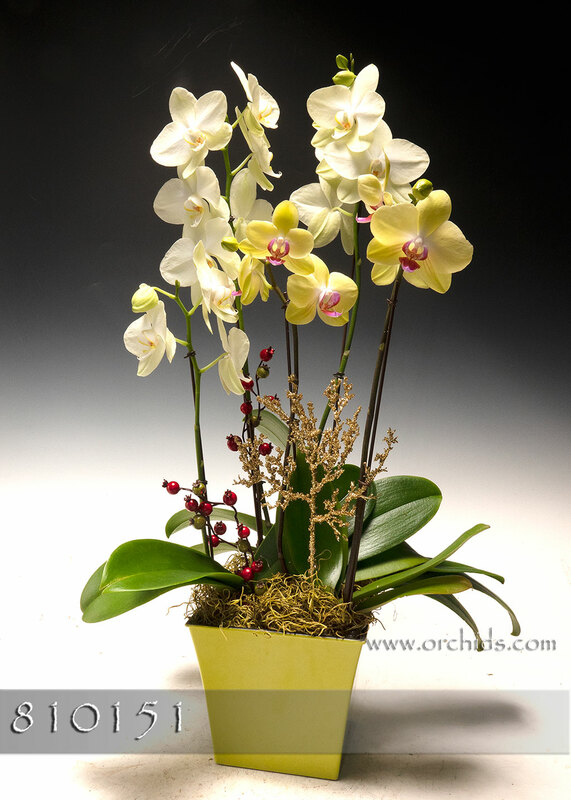 And because the growers at Norman's put three orchids in each arrangement, you are guaranteed 4-6 spikes and lots of blooms! Compact size makes it ideal for desks, tabletops, kitchen counters or a windowsill. Shipped in a laquered woven pot--beautiful! Stands 24-28 inches tall.